Clyde W. Bright is President of Collinsworth, Bright & Co., P.C. and serves as Secretary for Real Life Management, Inc. He began his career with the international accounting firm of Arthur Andersen & Co. in 1972. After eight years with Arthur Andersen & Co., Mr. Bright and Mr. Collinsworth formed the accounting firm of Collinsworth, Bright & Co., P.C. Mr. Bright has been performing valuations since 1990 and, since 1972, has practiced accounting, including audit, tax and other advisory services. As well as committee memberships for the Peer Review Committee, Tennessee Society of Certified Public Accountants (2000 to present) and the Business Valuation, Forensic & Litigation Services Committee, Tennessee Society of Certified Public Accountants (2006 to present). 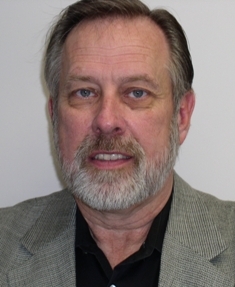 Clyde is a graduate of Austin Peay State University (1972), holding a Bachelor of Science in Accounting. In addition, he attended Masters of Business Administration Courses at The University of Tennessee (1978). His distinguished military service includes the United States Army Airborne – Ft. Campbell, Kentucky (1966-1967), the 101st Airborne Division – Republic of Vietnam (1967-1968) recipient of the Bronze Star Medal (1968), and the Third Army Headquarters – Ft. McPherson, Georgia (1968-1969).